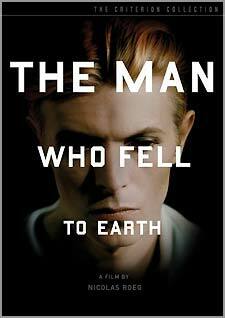 Optimum will release a Special Edition of Nic Roeg's cult classic The Man Who Fell To Earth on DVD on January the 29th. 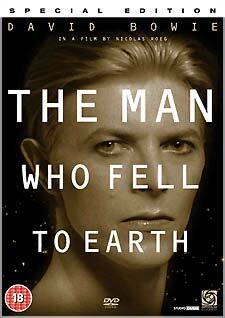 It will feature a new interview with Nic Roeg, in addition to the Watching The Alien documentary from the previous DVD edition. Despite Special Edition status, Optimum's new disc pales alongside the feature-packed version released in the US by Criterion (which includes a commentary track, and several new video interviews). Optimum is promising that their new disc will be "digitally restored", one aspect which may better the Criterion disc. The film's Incoming record has been updated. Note that Benson's World is currently offering the £17.99 RRP disc for pre-order for £7.49 - click here. 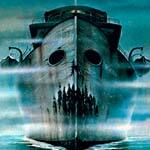 The bonus features for Nucleus Films' release of the 1980 video favourite Death Ship have been confirmed, and the Incoming entry has been amended accordingly. The release has been re-scheduled, and is now due on March the 26th. The film will be presented in newly re-mastered anamorphic 1.85:1 format, with a choice of PCM 2.0 mono and Dolby Digital 2.0 mono audio tracks, with optional HoH subtitles. The RRP is £15.99. Australian label Madman Television have three DVD sets which might interest UK-based customers next month. 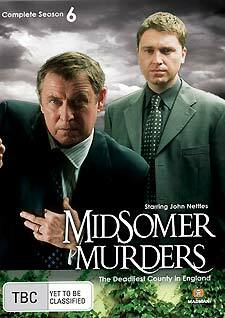 The first is the Midsomer Murders - Season 6 set, which features the five feature-length episodes (A Talent For Life, Death and Dreams, Painted in Blood, A Tale of Two Hamlets and Birds of Prey) on a three disc set, which will also feature textless titles and photo' galleries. Release date is 7th February, with am SRP of AU$59.95. The second, which was released in October last year, contains the first season (thirty episodes) of the Emmy-nominated, Golden Globe-winning sitcom That Girl. The episodes, which include the original un-aired Pilot, have been digitally re-mastered. 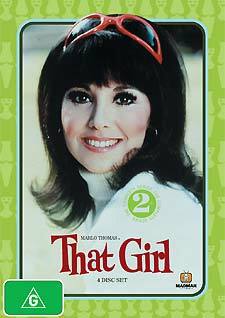 Four episodes will feature commentary by star Marlo Thomas, and series creator Bill Persky. The set will also feature rare promo's, original location footage; a featurette "and more". The five-disc set has an SRP of AU$49.95. The That Girl - Season 2 set will be released on March the 7th. The four-disc set will feature thirty episodes, with bonus features including four episodes with commentary by Thomas and Persky; the original un-aired pilot for Thomas' un-sold sitcom Two's Company, and a new featurette about the making of the series. The SRP is AU$39.95. Full details of the Borat: Cultural Leanings of America For Make Benefit Glorious Nation of Kazakhstan DVD have been added to the disc's Incoming entry. 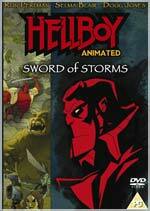 Anchor Bay will release the recent animated Hellboy film, Hellboy Animated: Sword of Storms (a sequel to Guillermo del Toro's 2004 film) on DVD on March the 5th. The disc will also feature several behind-the-scenes featurettes: To Hell And Back (how Mike Mignola created Hellboy), A New Breed (creating the new Hellboy), Conquering Hellboy (the actor's role), A View From The Top (the "Heads" sequence), Keepers of Hellboy (Comic Con 2006 Panel Discussion), Hellboy Goes East (a look at many of the inspirations, back-stories and secrets of Hellboy Animated: Sword of Storms). There is also DVD-Rom content, including weblinks, storyboards and more. The disc will also be accompanied by a thirty-two-page limited edition Hellboy comic book, by Mignola, in the "deluxe limited edition" slipcase. The RRP is £14.99. Metrodome will release Wim Wenders' cyberpunk road movie Until The End of the World (Bis ans Ende der Welt) on DVD on February the 26th. The film, which stars Wings of Desire's Solveig Donmartin, William Hurt, Max Von Sydow and Sam Neil, featured an iconic soundtrack, featuring new material from artists including U2, R.E.M, Talking Heads, Lou Reed, Depeche Mode and Nick Cave & The Bad Seeds (who were asked to imagine the kind of songs they'd be producing eight years hence). 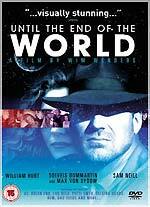 The disc will include a theatrical trailer, and an essay on Wenders from film scholar Jason Wood. No technical details were announced. The running time is quoted as 155m, suggesting that this is the shortest version of the film (not the three-hour edit, or - as claimed by an earlier press release - the 280m Director's Cut). The RRP is £19.99. Lions 3D: Roar of the Kalahari, a compelling giant-screen 3D film by Tim Liversedge for National Geographic, opens at the BFI IMAX on 9 February. 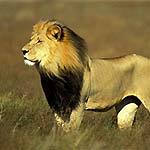 Filmed entirely in the wild and made possible in part by the support of the Republic of Botswana, Lions 3D carries the audience deep into the stark expanse of Botswana's Kalahari Desert where the life-and-death struggle between a real lion king and a fierce, young contender determined to oust him from his throne unfolds. Viewers will be shaken in their seats by one of nature's loudest sounds - the roars of duelling lions - delivered by the most powerful cinema sound system in the world. “Lions 3D is set around an isolated watering hole teaming with wildlife” says Liversedge. “Powerful, close-up images and a complex sound design put the audience right there at the site. Zebra herds trot by close enough to touch. An elephant trumpets thunderously from the screen. A soaring flight is taken over vast and harsh landscapes. The BFI IMAX is located at South Bank, London SE1. Nearest tube/railway is Waterloo. Tickets can be bought in advance from the ticket desk or by telephone on 0870 787 2525 or online from www.bfi.org.uk/imax. Tickets for Lions 3D are priced as follows: Adults £8.50, Children (up to and including age 14) £6.25, Concessions £6.25. The reduced rate for groups of 10 people or more is £700 for adults and £5.25 for concessions. Tickets will be on sale shortly. There's a new review on the site today. It's of BBC Audiobooks' The War of the Worlds CD, which was released earlier this month, as part of their Classic Radio Sci-Fi collection. Click here, or on the image, left, to go to the review. I've updated the Hammer DVD Guide, adding the individual Optimum titles which were previously only available in their Ultimate Hammer Collection box set, and updating various other bits and pieces with information that's become available since the last update. 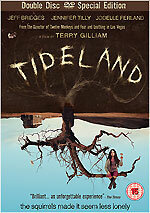 Revolver Entertainment will release a two-disc Special Edition of Terry Gilliam's Tideland on DVD on the 29th of January. The film, which Gilliam has described as "Alice in Wonderland meets Psycho", is about the surreal fantasy world created by a young girl, played by Jodelle Ferland. Disc one will feature a "personal" introduction by Gilliam, and a commentary track by Gilliam and scriptwriter Tony Grisoni. Disc two will feature an interview with Gilliam; a sixty-minute behind-the-scenes documentary called Getting Gilliam; an interview with producer Jeremy Thomas; a behind-the-scenes featurette; deleted scenes (with Gilliam commentary); Green Screen (with Gilliam commentary); a Q&A interview with Tideland author Mitch Cullin and Terry Gilliam, filmed at the Guardian Hay Festival; a theatrical trailer; and an Easter Egg. No technical specifications were announced. The RRP is £19.99. 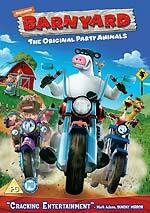 Paramount will release Nickelodeon's 3D CGI-animated movie Barnyard on February the 19th. Bonus features include a new animated music video, Barnyard Bop (created especially for the DVD); a commentary track by director / writer / producer Steve Odenkirk, producer Paul Marshal, animation supervisor Todd Grimes and animators TJ Sullivan and Dimitri Joannides; a music video, Mud, performed by the Mississippi All-Stars; a featurette focussing on the film's music, Boogying In The Barn; one on the voice talent (which includes Kevin James, Courtney Cox, Wanda Sykes Andie MacDowell and Sam Elliot), titled Utter Talent; a look at how one of the stars bonded with the cows in Method Acting with Kevin James; seven deleted scenes (at various stages of production, with optional commentary); a behind-the-scenes look at An Animator's Life; an alternate opening sequence, Stomp; and Nick-on-Air campaign spots. Pasolini - Volume 2 box set - Hawks and Sparrows, Oedipus Rex, Pigsty - bonus features include archive Italian TV footage and Pasolini's book, A Violent Life. 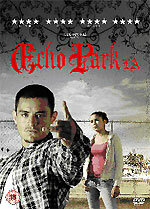 Metrodome will release Richard Glatzer and Wash Westmoreland's award-winning drama about young woman from a Mexican-American family Echo Park L.A. on DVD on February the 26th. The film, which won the Dramatic Grand Jury Prize and the Audience Award at the 2006 Sundance Film Festival, will be presented with Dolby Digital 5.1 audio. No other technical details were announced.